Pat Merrill and Tandy Gilliland were already veteran community leaders when they joined energies 12 years ago to fight for a blufftop trail overlooking the Mississippi River. Through 10 years, two lawsuits, broken promises and compromises, their Chickasaw Bluffs Conservancy fought the mayor, a powerful developer and influential blufftop residents. 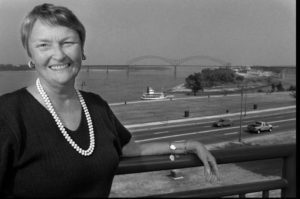 Pat, a Cincinnati native who moved to Memphis with her five children in 1967, founded the Sea Isle Neighborhood Association and served as chair of Memphis City Beautiful. 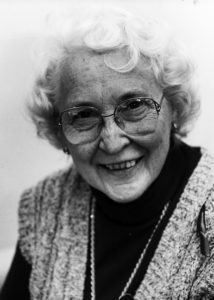 She was noted for her support of issues from zoning and flood control to tree preservation and interstate sound barriers. Pat was familiar with the bluff trail and was part of a loosely organized group that became concerned when increasing redevelopment downtown began to close parts of the trail. Tandy was an active elder and outreach organizer at Idlewild Presbyterian Church, and working as executive director of the World Lens Project when she read about developer Henry Turley’s plans to build homes atop the bluff. Tandy’s father, conservationist, environmentalist and Shelby County official Rudolph Jones, had dreamed of a long trail along the Mississippi River that would include the blufftop. Almost without conscious thought, Tandy telephoned Pat, whom she did not know, to become involved in saving the blufftop. In February 1990, in Tandy’s breakfast room, the Chickasaw Bluffs Conservancy was formed. Tandy was the first president. 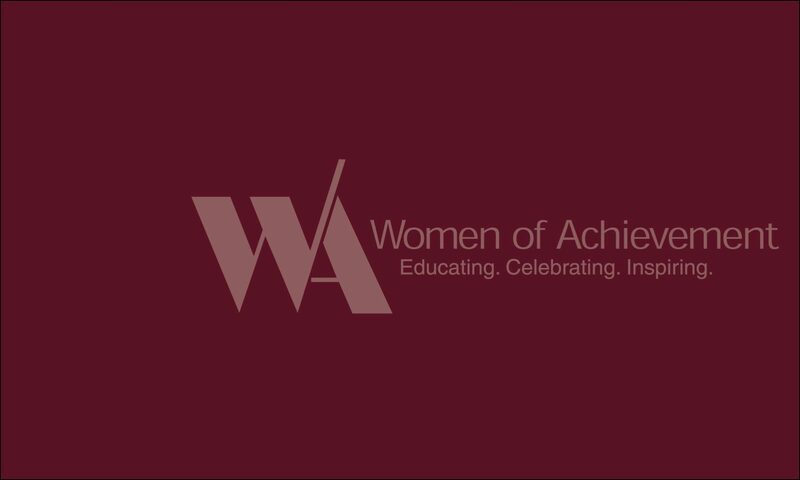 An alliance of downtown and East Memphis residents, the group was given its name by founding member and 2001 Woman of Achievement Anne Shafer. The conservancy organized hikes and speakers along the blufftop and lobbied for construction of a trail. Turley, meanwhile, wanted to back out on a promise to pay for construction of a trail if the city allowed him to develop the blufftop land. He decided to sell the lots as homesites and move the trail behind them. Late in 1992, the city council accepted Turley’s idea of “notching” the walkway into the bluff eight feet below the riverfront homes – and Turley was not required to pay for it. The search for state and federal funding took off and designers worked to make the compromise a safe reality. The City Council in February 1995 approved funding – but Mayor Willie Herenton tried to end the project by refusing to sign the construction contract. Then he proposed an alternative route that would wind the walkway BEHIND two riverfront condominium projects and Turley’s South Bluffs. In 1997, Herenton was defeated in state appeals court by the conservancy, joined by the city council. The homeowners’ suit was dismissed in 1998. Now former opponents praise the walkway for making the blufftop into a neighborhood. Through their courage and persistence, Patricia Merrill and Tandy Gilliland preserved for generations public access to the Bluff City’s grandest view.